Enjoy Life is one of many food and beverage companies capitalizing on the new Free-From foods market. If you operate a business in the food and beverage industry, you may be eager to learn a thing or two from Enjoy Life Foods. You may be even be able to learn some lessons even if you own an automotive business. Keep reading to find out how you can make a name for yourself in a highly competitive market. As mentioned above, Enjoy Life is a food and beverage company based out of Schiller Park, Illinois. Enjoy Life is built on an intelligent business model, manufacturing goods for the every-growing population with various food allergies and special diets. The company sells their products at natural, conventional, club and mass market retailers all throughout the United States, as well as Canada. In addition, online shoppers can pick up their products from an array of online outlets, as well. Clearly, if you are a small food production business, you can learn a thing or two from this mid-size business that makes big-time profit without having to worry about kitchen equipment prices. Enjoy Life capitalizes on an emerging market — the “Free From” foods market. What exactly is that? This food category is comprised of items that are free from the most common food allergens. These allergens are classified as the most common cause of reactions by the FDA and include wheat, dairy, peanuts, tree nuts, egg, soy, fish and shellfish. This market is growing at a rapid pace and does not look to be slowing down for awhile. If you operate any sort of food and beverage business, you should definitely consider making an appeal to this particular base. If you do decide on re-targeting your small business to start appealing to a broader “Free From” market, you will definitely want to be certain that your manufacturing facilities reflect this, as well. 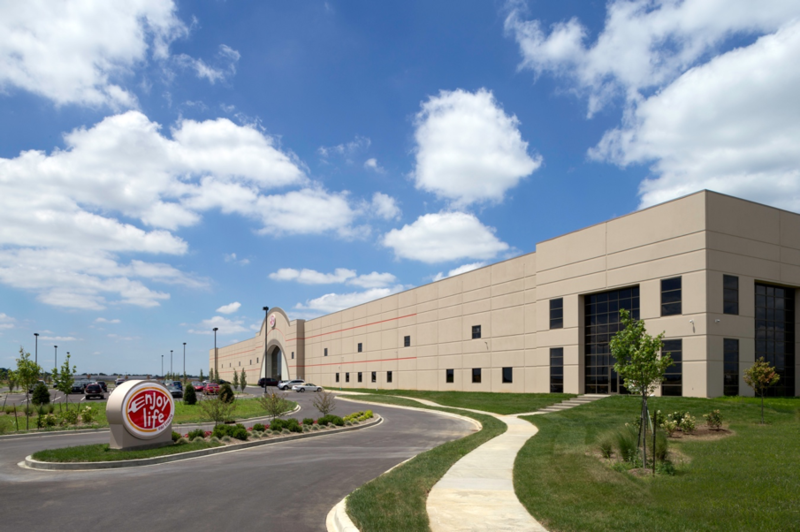 Enjoy Life Foods produces all their products in an allergen-free manufacturing facility, which is required by the FDA if you want your products to be certified allergen free. This is an important distinction for food and beverage business owners looking to break into this market. Be sure that your manufacturing plant is also entirely allergen free if you are going to be producing free from food products. One of the best lessons to learn from Enjoy Life is from the Enjoy Life website. Enjoy Life’s website features a Where to Buy section. This is in addition to an online store, which every business should have in the age of e-commerce. The Where to Buy section of the website features a store locator. This helps potential customers who want to buy your product find where they can get their hands on it. This will increase sales and profits for your brand. Make sure to learn from Enjoy Life foods and include a product locator on your business website. This strategic marketing definition lesson is imperative for all small business owners, regardless of what industry you operate in. Today, everyone is connected by social media; your business should be too. You will lose countless potential customers if they are unable to find information about you on the web. Be certain to have an engaging, active social media presence for your business, just as Enjoy Life does. Your business will certainly reap the rewards. One final consideration for business owners looking to learn from the Enjoy Life company is the most basic. Your company’s products must be good if you want to have any shot at success. In the food and beverage industry, consumers do not care about advertising and marketing as much as they value the taste of the product. The first thing on any food and beverage business owner’s mind should be the taste of their products. Once you have a great tasting product, the marketing and advertising can help to bring it to the next level. However, it is crucial that you learn from the award-winning Enjoy Life products and make your products taste great to ensure they are competitive. If you have heard of Enjoy Life Foods, you know that they are a mid-size business with big-time profit. Learn from their excellent business practices. If you own a food and beverage business and are not concerned with food franchise opportunities, be sure to consider additional options for the free from market, and make sure your manufacturing facility allows that flexibility by operating allergen free. If your product tastes great, like Enjoy Life products, you will be set up for success and an excellent social media presence for business will help bring your business to the next level. Stay competitive in the industry by learning from companies like Enjoy Life and other similar success stories.